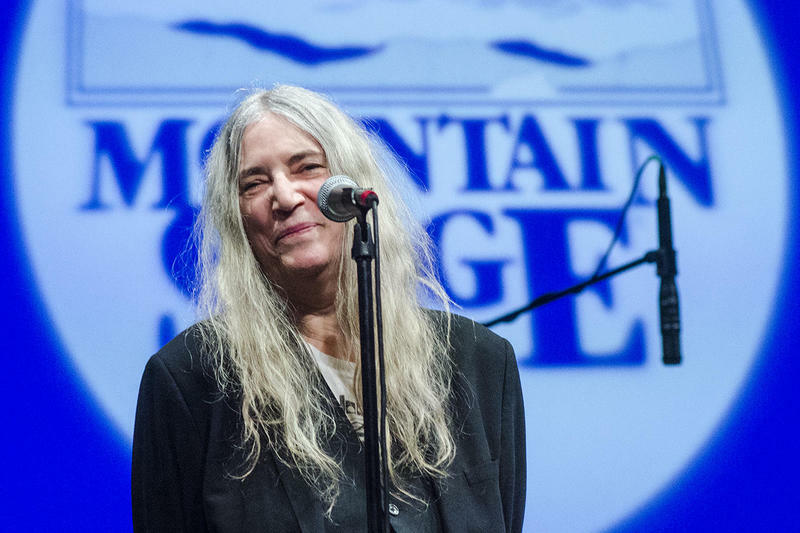 Poet, performer, visual artist and rock-and-roll icon Patti Smith performs on this week's Mountain Stage. You can hear Patti Smith & Family's entire performance, plus sets from Van William, Mollie O'Brien & Rich Moore feat. Lucy & Brigid Moore, Robbie Fulks and a special Tribute to Little Jimmy Dickens featuring Tim O'Brien, Charlie McCoy, and more, on this week's new episode of Mountain Stage with Larry Groce.